Attending massive events like Google I/O can get tedious when you’re trying to manage your time. Unless you’re thoroughly focused on the conferences you will be attending or have a navigator to show the ropes, things can get a little out of hand. Google is fixing this major setback in the best way it knows – updating its official Google I/O 2016 app to make its biggest event a hit among the fans. Google I/O conference navigation app helps you stay connected to the event regardless of whether you’re attending the event physically, or staying in touch on the go. During the startup, the app asks you whether you will be in Mountain View, California, or follow the meetings remotely. You can then go ahead and create your personalized schedule for Google I/O 2016, and add every important event to your list. Attendees can also keep up with event-related social media buzz, and never get lost with the map navigation by your side. Users at home can also live stream the keynotes and sessions live on their device, and even watch the videos from previous Google I/O conferences. The app will also help you hook up the event’s public Wi-Fi network once you’re there, so you don’t have to worry about maxing out your data limit. Google is all set to begin its largest annual developer-centric Google I/O event in Shoreline Amphitheatre. Mountain View, California. The two-day event between 18th and 20th May is expected to be packed with developers, business firms, entrepreneurs, and of course – the Google fan boys and fan girls who flock to the event each year in hoards. To be a part of the Google I/O experience and stay updated with the latest developments at the event, download the Google I/O 2016 App right now. Are you planning to hit Mountain View, California, and see what Google has in store this year? Would you rather sit back and enjoy the show in the comfort of your home? 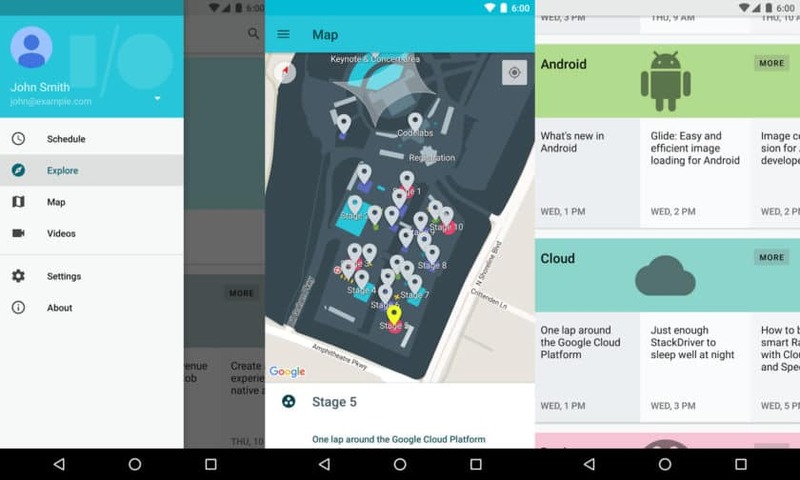 Let us know what you think about the Google I/O 2016 app below.